This boy is very special!! 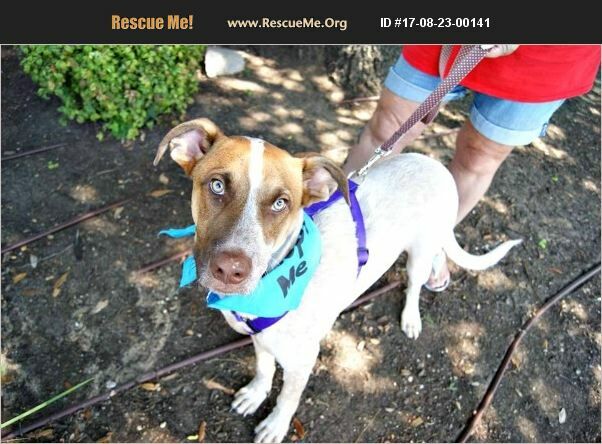 He is a Red Heeler and Cattle dog mix but Rescue Me didn't have the right breed so we listed what we could. Lucky's foster mom calls him Hank. We don't care what you call him, just call him yours!! He is such a love bug. He is about 7-8 months old. Does have a sensitive tummy so he needs to be watched about what he eats. At this time, we have him on puppy food for sensitive tummies and he is doing fine. He is about 60 pounds so he is going to be a bigger boy. Maybe 75-80 pounds. He needs a backyard. Loves to run and go on nightly walks. Loves playing with his foster brothers and sisters. LOVES kids. Would play all day with a bunch of kids. Lucky is going to be a great addition to just about any family. He is just that lovable and fun. Please apply to adopt Lucky today.